It’s a cliché but more and more marketers are finding there is a lot of truth in the phrase … particularly when it comes to telling their brand’s story and driving customer action. I’m talking about Instagram, of course. The social media platform has been around since 2010, but has seen tremendous growth since 2013. While 90 million users used the app at least once a month in 2013, that number has exploded to 700 million, and still growing! What’s even more encouraging is that Instagram drives user action. A recent study by Pardot found 75% of Instagram users will take action, such as visiting a website, after looking at a brand’s Instagram post. When you consider Instagram limits users from sharing links on posts, that statistic is amazing! Just think … your audience is so compelled by visuals they see on Instagram they will manually seek out a company via a web search. There’s no question Instagram is a valuable tool you’ll want to consider adding to your marketing portfolio in 2019 if it is not already there. Here comes the tricky part, though. Instagram is a platform based on images and videos. What if your company isn’t the most photogenic? Guess what, there’s still an amazing opportunity for your brand to get visibility. If you’ve created any type of thought leadership, company blog, case studies or white papers, your company is sitting on a treasure trove of content waiting to be transformed into engaging and powerful images. There’s also the opportunity to showcase your company culture, which can provide another avenue to build brand loyalty with customers. 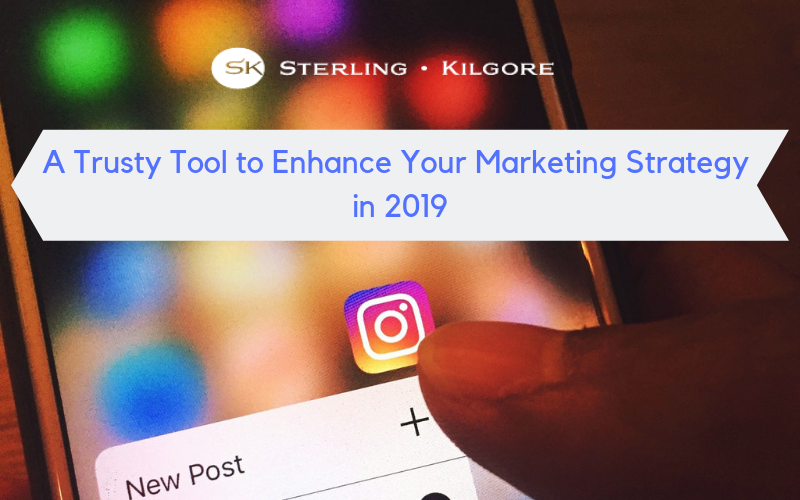 The start of 2019 is a perfect time for your business to hop on board the Instagram train if you have not already. If you need a hand developing your content strategy, branded imagery or building your community, the Sterling Kilgore team is here to help you show the full picture of your brand’s story.